Welcome back to my 2nd Xmas Gift Guide in the series. If you miss my first guide, which was gifts over £25, you can click here to catch up. 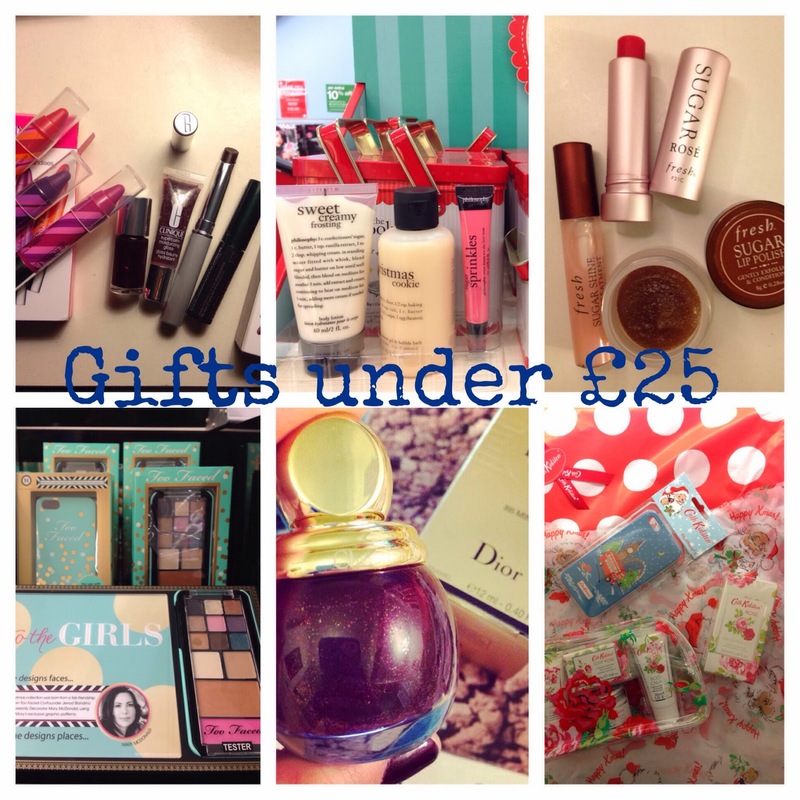 This guide is all about gifts for £25 or under. These are the mid-range gifts that everyone is looking for. I will keep each description brief, otherwise it will be a post that you will never scroll to the end! Chubby Sticks time!! 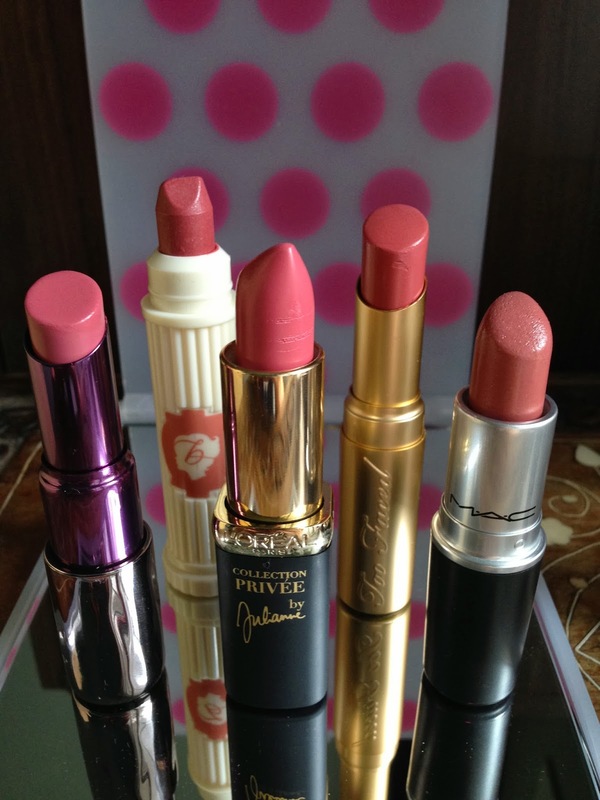 Cliniques Chubby Sticks have quickly become a classic and THE standard to any lip crayons that flow its suit. How cute it is to have 3 mini ones in a pack with special cute swirly pattern in the outside, really cute!!! 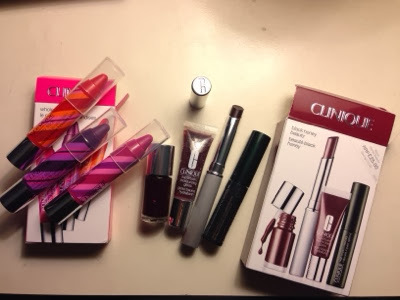 Next to it is the Black Honey set with a small deep dark red Black Honey nail polish, Supergloss in Black Honey, lipstick in Black Honey and High Impact mascara in Black. This is a winning set to me, the colour is really on trend for winter, and Black Honey nail polish is easy to apply, long lasting and super glossy, exquisite deep dark red, love it!!! 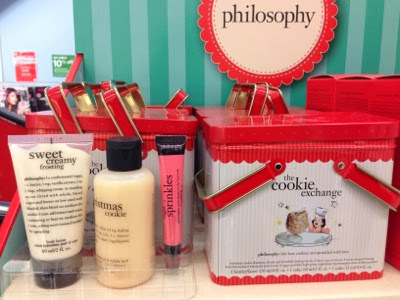 Philosophy always do really cute sets, and I particular like this set with the cute tin. The set includes a Christmas Cookie shower gel/bubble bath, Sweet Creamy Frosting body lotion, and a Sugar Sprinkles lipgloss. A cute little set to make this Xmas even sweeter!! It's only because writing this gift guide that I found that Fresh cosmetic doesn't have a UK based online shop on their official website, nor from any other UK based online beauty shopping website. I am lucky that there is a Fresh Shop near my house (92 Marylebone High Street, Marylebone, London W1U 4RD; Tel: 020 7486 4100) and that is where I bought my set from. 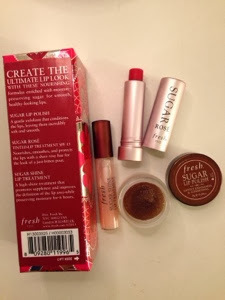 This set contains three of their star lip products - a mini Lip Treatment in Sugar Rose, a mini Sugar Shine lip treatment and their famous Sugar Lip Polish. The Sugar Lip Polish is thicker & stickier than Lush lip scrub, it contains rich treatment oil that make my lips softer than ever after using it! It's a must-have set to get those lips ready under the mistletoe! 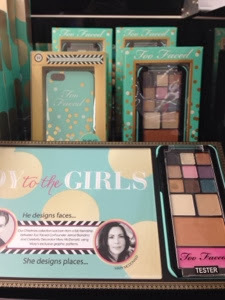 11 eyeshadows, a brozer and a blush all fit into one neat iPhone 5 case?! What more, it actually is an limited edition iPhone 5 case that can be used too!!! And all these for just £20??!! I cannot think of any other better presents for a teenager who loves make up and their phone??!! How far can £20 stretch for a little luxury? 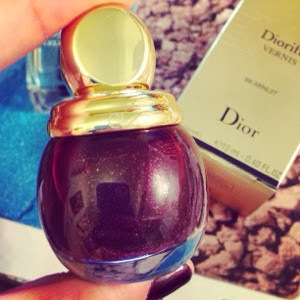 The answer is Dior's Golden Winter nail polish. Look at how cute this little bottle is! Beautiful bottle, beautiful deep purple colour with little gold flex in it. I have a full blogpost here for details. I have a soft spot for Cath Kidston - my knees go weak and my mind go hazy when I am in the shop. And when I leave the shop, I always find myself holding a bag with goodies in it. 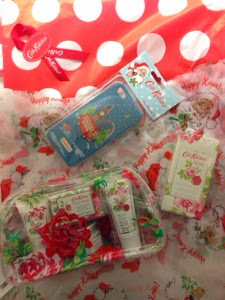 This time, I found in my bag - a Rose Bath & Body Gift Bag (soap, shower gel, body lotion, bath salt & a face cloth, and a very useful rose-printed clear bag), a bottle of Rose perfume, and a Xmas edition London-theme iPhone case. Come back tomorrow (yes, tomorrow, Saturday 30th Dec, to help you before you are out shopping) for my 3rd and final guide, that will be for gifts £10 or under stocking fillers. And yes!!! There are a bunch of them!! 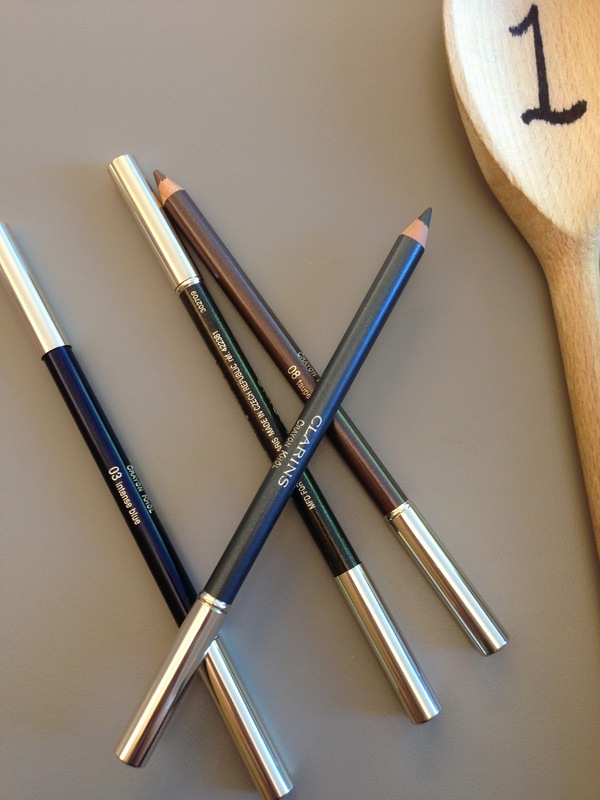 Don't forget to subscribe to my blog via blogvin to make sure you won't miss anything!